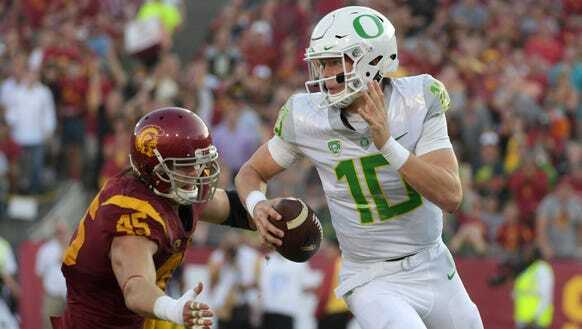 In the season kickoff, the Ducks dominated Southern Utah on the ground behind senior Royce Freeman, who scored four touchdowns. Against the Cornhuskers, Freeman might not find as many open lanes, and Herbert will be forced to put the ball in the air more often. The sophomore signal caller easily passes for over 300 yards and three touchdowns on Saturday. The Commodores shipwrecked the Blue Raiders’ high-flying offense last weekend; however, the MTSU aerial assault will cruise at Syracuse. Behind quarterback Eric Dungey, the Orange will put plenty of points on the scoreboard, and Stockstill will throw at least 45 passes and complete three touchdowns in an attempt to keep up the pace. In a losing effort against South Carolina, quarterback Ryan Finley surpassed 400 yards passing and totaled three touchdowns. The Wolfpack are huge favorites and Vegas projects a 35-point output for North Carolina State. The 6’4”, 205-pound junior records another 300-yard game Saturday evening. 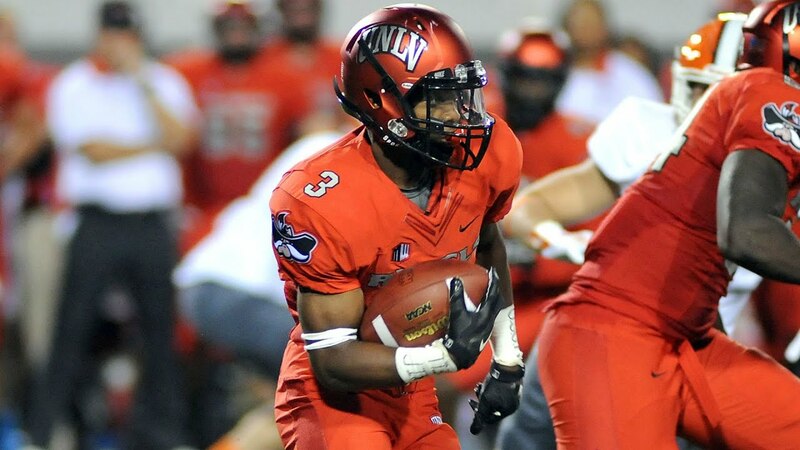 Entering the season, Crawford ranked among the best college fantasy running backs in the nation. The Mountaineers got into a shootout with Virginia Tech last Sunday, and Crawford only touched the football 13 times for 106 yards rushing. In another high-scoring contest, the senior tailback carries at least 20 times with a few catches and scores over 20 fantasy points. The Rebels suffered the greatest loss in college football history, losing to Howard as 45-point favorites. Despite the devastating results, Lexington Thomas shined brightly with 199 yards from scrimmage and two touchdowns. The junior game breaker will be called upon often to keep the game close against the Vandals. Bradrick Shaw suffered a right leg injury last week and is questionable to play. Jonathan Taylor, a freshman, carried nine times for 87 yards and a touchdown against Utah State. He is the next man up and likely to garner a bigger workload against the pitiful Owls run defense. The Seminoles could not run the football against the stout Alabama defense. Without starting quarterback Deondre Francois, coach Jumbo Fisher and the offensive staff must rely on the ground game to move the chains. In an expected blowout, both Patrick and Akers may very well exceed 100 yards rushing. After suffering a wrist injury, WR Jauan Jennings will miss significant time in Tennessee. 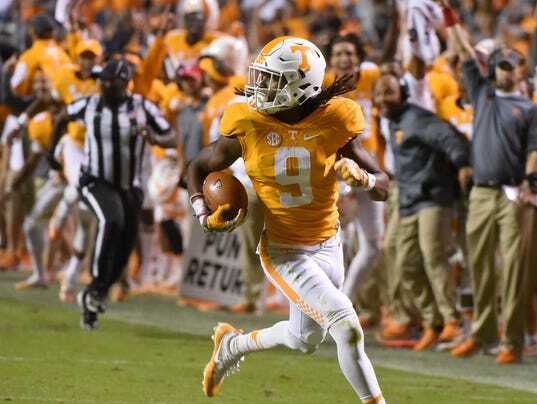 Marquez Callaway, a sophomore, rose to the occasion last week in the come from behind victory versus Georgia Tech with four receptions for over 100 yards and two touchdowns. At 6’2” and 199 pounds, Callaway has very good leaping ability and great speed. He should easily score against the Sycamores Saturday. While the majority of college fantasy football diehards expected Demetris Robertson to lead the Bears in receiving last week, Vic Wharton, III stepped up and dominated North Carolina with five receptions for 156 yards and a touchdown. A 6’0” and 200-pound sophomore, Wharton may play a bigger role than anticipated before the season kicked off. At a minimum, he must be placed on every fantasy owner’s watch list and is worth starting if needed against the Wildcats. When Las Vegas identifies the home team, as a huge underdog, in a contest with a 68-point total, college fantasy footballers must examine the roster closely. At 6’2” and 203 pounds, Mayala is the alpha dog in the Husky aerial attack. He caught nine passes for over 100 yards and a touchdown in last week’s opening day victory. UConn likely throws more often than coach Randy Edsall would like with the Bulls high-flying offense on the opposite sideline.